More integrated, compact and simple, and yet a veritable horn loudspeaker—to the very last decibel, ZERO XD is a dream shared by Avantgarde Acoustic. With larger acoustic transducers in a more compact horn loudspeaker, the ZERO XD becomes accessible by larger audience of audio enthusiasts. 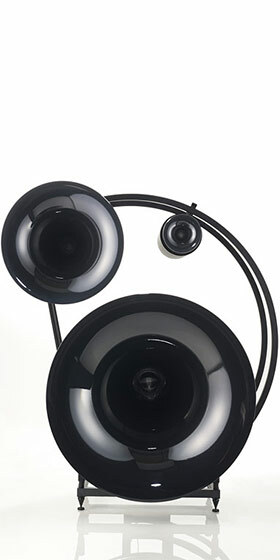 Its recessed spherical wave horn is a shining example of functional beauty. Digital processors, digital-to-analogue converters, power amplifiers and loudspeakers are all fully integrated. The Zero 1 XD comes in either white or black. - Download the Zero 1 XD brochure for more information. The Uno XD is exceptionally powerful, a high performance system with supreme balance, resolution and dynamics. At the heart of the system, the midrange frequencies – amazingly deep down to 300 Hz – are covered by the 20 inch spherical midrange horn powered by Avantgarde Acoustic™ ´s proprietary 5 inch M1-OMEGA driver. Above 3 kHz, the 1 inch tweeter driver H1-OMEGA with a 5 inch spherical horn complements the upper range of the frequency spectrum. It is a combination of precisely manufactured horns, calibrated driver systems with high impedance voice coils, innovative membrane technologies reducing distortions, powerful 1.000 watt bass systems with a versatile digital sound processing providing seamless integration of the system in your customer's home. The UNO XD horns are available in 12 colour options, while the speaker body has black and white satin finishes, plus the Zebrano and Tiger Rosewood veneers. - Download the Uno-XD brochure for more information. At Avantgarde Acoustic™, this precise control is very much in the foreground of the listening experience. It is particularly appreciated during day to day listening where the system develops its full bass extension. This translates to an immediate sensation of power and richness even when idling at low volumes – a landmark characteristic of every Avantgarde. The major feature of the XD series becomes manifest in the completely updated control panel, featuring a display and elaborate 3-button operation that not only facilitates easy and precise adjustments of basic functions, but also accesses the advanced functions. Among them a 10 band parametric equalizer, which adjusts the bass range precisely to room acoustic requirements. The horns are available in 10 colour options, while the speaker body comes in the Zebrano, Tiger Rosewood and Ebony Wengé veneers. Taking advantage of the unrivalled performance of the horn principle by consequentially extending it to the lower octaves, the Duo Mezzo XD introduces full-range horn performance to the Duo product line. 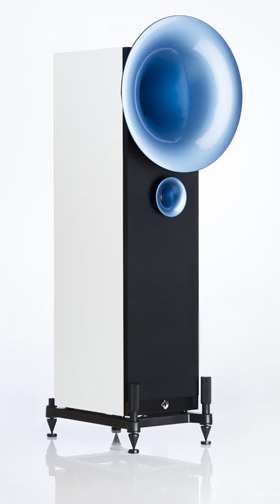 The appearance of these systems suggest the sheer potency that is concealed beneath, expressed in the taut lines and naturally sculpted slope of the bass horn flare. The technologies utilized in the Duo Mezzo XD are based on the Duo XD model, excelling the Duo XD by the horn loaded and specially linearized subwoofer design, aspiring to the powerful and ultra-rich performance of our top model. Introducing the DSP controlled XD-1000 amplifier module that overcomes constrains in bass horn design. 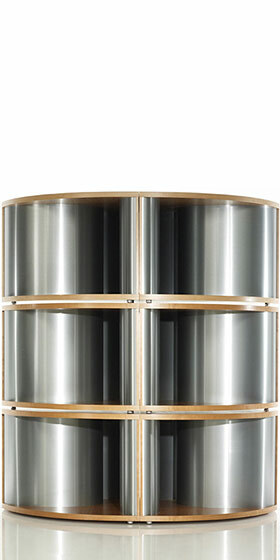 Tall, purposeful and elegant, the Duo Primo XD communicates performance and agility. Perfect proportions with a sophisticated and desirable proposition. Each system is made to order: by skillful hands, with ultimate care and precision, employing esteem and respect to their becoming owner, taking an endless 70 days to complete. 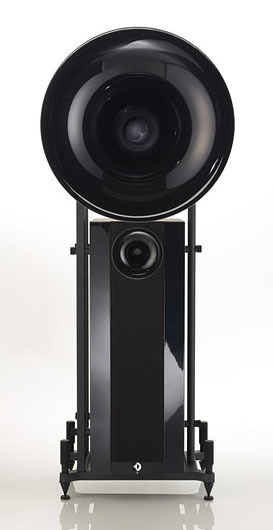 The Trio is a 3–way spherical horn satellite which below 100 Hz, is complemented with active subwoofers. 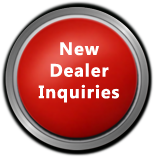 The transmission of the lower frequencies is handled by the 38 inch low–midrange horn. It is driven by the 8 inch L3O-XD driver with 16 ohm OMEGA voice coil and proprietary Soft Mesh Compound membrane dome. The heart of the Trio, the midrange with coverage down to 600 Hz, is covered by the 27 ohm 2 inch M3O driver behind the 23 inch midrange horn. The 16 ohm 1 inch tweeter H3O with its 7 inch horn blends in at 4 kHz. Welcome to audiophile nirvana! The speakers are available in 11 colours, while the speaker body comes in the Zebrano, Tiger Rosewood and Ebony Wengé veneers. 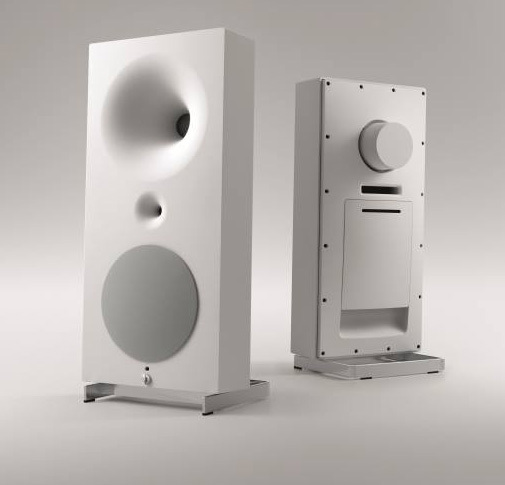 The Classico version of the Trio XD is the logical visualization of the outstanding technical features of the Trio speakers: to transform the art of simple music reproduction into an almost voluptuous experience involving all your senses. As thrilling and exciting as a real concert - for both your ears and eyes. The Trio Classico XD version uses the exact same horns and drivers and is technically identical to the standard Trio XD version with its straight frame structure. The speakers are available in 11 colours. - Download the TRIO CLASSICO XD fact sheet from Avantgarde. The Basshorn is a fully active bass system with a response of 18 to 250 Hz. Each Basshorn is driven by two powerful 12 inch long excursion drivers with 600 watts RMS. With their 185 inches squared of membrane area, the drivers are capable of displacing 31 cubic inches of air which is thrust into throat of the horn. The sound waves are then guided through the 55 inch long expo–spherical horn and propagated into the room. The horn mouth area of each Basshorn module is 9 ft squared. In a 6 x Basshorn configuration this translates to 54 ft squared! Each Basshorn is powered by our newly developed XD-1000 amplifier. This amplifier not only generates an incredible 1000 Watts per subwoofer module, but also features a DSP controlled signal input stage, which opens excellent user-controllable features to adjust and fine tune the Basshorn XD to the acoustic environment. 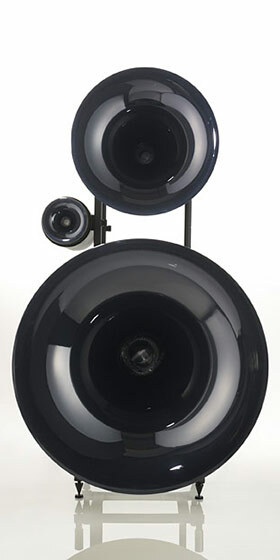 Maybe the Trio with Basshorns is the most beautiful speaker from Avantgarde Acoustic™. 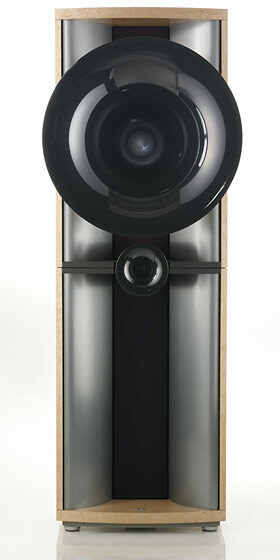 But in respect to its holistic technology it is for sure the most perfect speaker system. Designed for people with an obsessive passion for music – from people who esteem the exceptional.